What is ISO Certification and what does it mean to our clients? NAXION has propagated a culture of quality at every level of the organization and espouses a philosophy of continuous improvement. While professional services like research and consulting rely heavily on employees’ level of professional experience and caliber of thinking, the development and manipulation of databases also rely heavily on systematic processes that demand high levels of quality control and documentation in order to maximize accuracy and replicability. These processes, many of which ensure the reliability and security of our data and thus lay a solid foundation for the conclusions we draw from it, are amenable to ISO certification. What ISO Certification has NAXION received? ISO 20252 establishes quality standards for market, opinion, and social research organizations. 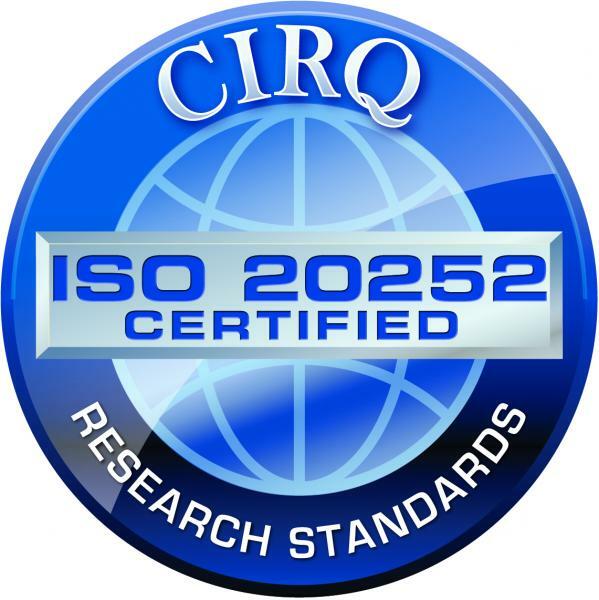 The certification of NAXION to ISO 20252:2012 covers its role as a “full-service market research firm,” providing qualitative and quantitative research solutions to clients in a variety of industries. NAXION was one of the first US companies to receive certification. As part of that process, NAXION reviewed and documented internal processes and policies relating to its research management system, client communications, project documentation, outsourcing, employee training, confidentiality, privacy, and security. Re-certification is required every 3 years. For more information on ISO 20252, click here.